doing your regular food shopping once settled. Melcom Group is the largest department store chain in Ghana with 25 stores across the country, including three megastores in Accra called Melcom-Plus, located in North Industrial Area, Spintex Road close to Accra Mall and Tema. They each have a good food section (mainly dry goods). Ask around you for directions. Note: Melcom Plus stores stock dry Indian food. For more things from India, there is an Indian supermarket in the same North Industrial Area: Shivsai Supermarket, opposite TV Africa - 0302 230 111 - 0244 525 838 - 0244 084 958. Mainly home to car dealerships, Graphic Road now has a superstore offering dry and fresh foodstuff as well as many other items, sold in bulk as well. 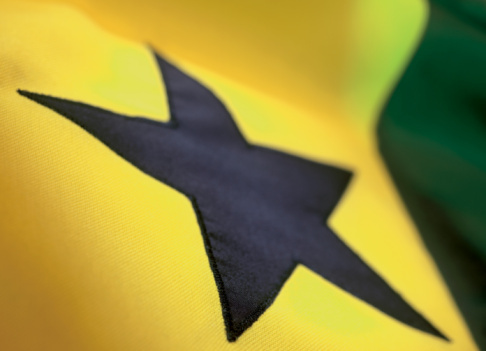 A year after launching the brand with the opening of a large outlet west of Kasoa, YooMart is now present in Accra. 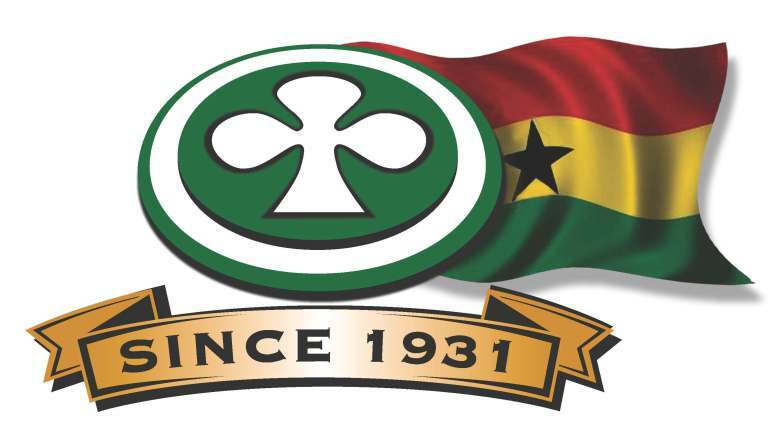 Located opposite Toyota Service Center, the store is designed to appeal to expatriates and Ghanaians alike. Opening hours are: 8 to 8 MON-SAT - 10 to 6 SUN & Public Holidays. Tel: 0501 398 291. Osu is the main shopping and restaurant district of Accra, located just south of the major residential areas of Cantonments and Labone. - Next to Danquah Circle at the entrance of Oxford Street on your left is the long-established Koala Supermarket. Opening hours are: 7:30 to 9 MON SAT - 9 to 8 SUN - 10:30 to 8 Public Holidays. Tel: 0302 773 455 / 765 665. - Across Koala on the other side of Danquah Circle roundabount is the Great Wall, a Chinese supermarket. - Nearby, Saagar Impex Supermarket is a small Indian grocery store located opposite Citizen Kofi, behind the Total station, one block off Oxford Street. Turn right at Total when coming from Danquah Circle. Opening hours are: 9 to 6 MON SAT. Tel: 0302 234 951 – 0302 235 950. - LaraMart Supermarket is a different but good supermarket further down that street. Turn left at the Y junction 200 meters after Papayes junction and it will be on your right at the next junction. Opening hours are: 7 to 10 MON-THU – 7 to 11 FRI-SAT – 11 to 8 SUN - Tel. : 0302 766 834. After opening its Airport Residential Area branch in 2012, Koala Supermarket is opening a branch in Cantonments today, an area without such shop to date. For feedback or questions, you can contact marketing@koala.com.gh or call 0263 006 455 / 0540 119 966. Opening hours are: 7:30 to 9 MON SAT - 9 to 8 SUN - 10 to 8 Public Holidays. - On Liberation Road just north of the major intersection known at 37, at the northwest corner of Cantonments, Max Mart Family Shopping Centre is a popular supermarket that also offers home stuff, electronics and other goods on three floors. The extension of MaxMart flagship store is under way: 1500 square meters of new space are added to the current 800 and will open to the public in Spring 2014. Each of the floors will enjoy the same extension in the Fall 2014. Opening hours are: 8:30 to 9 MON to SAT - 10 to 9 SUN. Tel. : 0302 999 979 - 0302 783 750. - In September 2012, Koala opened a new airy branch located in the heart of Airport Residential Area on Patrice Lumumba Avenue, across from the Volta Street junction. Opening hours are: 8:30 to 9 MON SAT - 11 to 8 SUN. Tel: 0544 343 282. - Further north on Liberation Road, in a large two-storey white building across from Virgin Atlantic office, just above the Polo Club and Polo Courts, there is an outlet of Woolworth, the South Africa clothing chain, with a small food section stocking good imported products. - The news in the supermarket scene late 2012 were the opening of the largest food store in Ghana: Marina Supermarket is located in the basement of the new 3-level Marina Mall on Airport Bypass Road, just below Holiday Inn Hotel. Opening hours are: 8 to 9 MON to SAT - 9 to 9 SUN (and public holidays). Tel: 0302 912 957. The manager is Roudy Herri (tel. : 0549 081 423). Dzorwulu is a residential area between Airport Residential Area and the Accra-Tema highway, just west of Airport West. In September 2015, Max Mart opens its fifth outlet in the country there: Max Mart Express is located opposite Dzorwulu Junior High School. - As the anchor of Accra Mall, the large Shoprite supermarket from South Africa is a place to visit for food shopping. Opening hours are: 9 to 9 MON SUN - Tel. : 0302 823 013-20 / 0244 779 577. - Game, the other department store from South Africa in Accra Mall, has a sizeable dry-food section, fruits, vegetables, refrigerated, frozen items and many more. Opening hours are: 10 to 8 MON FRI – 9 to 8 SAT – 11 to 7 SUN - Telephone: 0302 740 000. - In November 2013, Palace Hypermarket opened on Spintex Road. This very large shop stocks everything from groceries to hardware and all kind of things for the house. The only challenging part of the shopping experience is getting onto Spintex road and getting off it during rush hours on business days (see road news below). Opening hours are: 9 to 8 daily. 030 281 5444. Managers: Mr. Ali 0540211021 and Mr. Nader 0243 288 882. Directions: coming from Airport Bypass Road, turn right at the Polo Club on the new road to Spintex Road and after about a km and a half on it, turn right at the round-about at the end of the 2 x 2 lane portion after Oak Plaza Hotel. The hypermarket is on your right. Road news: the opening of a new 2x2 lane road takes us directly from Giffard Road on the north edge of Cantonments to Palace, driving along the east side of the airport (turning righ at the round-about will take you towards Labadi Beach). Max Mart Family Shopping Centre has a double store at A&C Shopping Mall. Opening hours are: 8:30 to 9 MON to SAT - 10 to 9 SUN. Tel. : 0302 518 881. - Max Mart’s Tema branch is located in Tema Central Mall. Opening hours are: 8:30 to 9 MON to SAT - 8 to 2:30 SUN. Tel. : 0303 302 781. - Located in Community 4, Evergreen Supermarket is a grocery store that offers a good variety of nice well-stocked imported goods at reasonable prices. Opening hours are: 8:30 to 8 MON SAT – 2:30 to 8 SUN - Telephone: 0303 211 903 – 0303 216 863. - Rabboni Oriental is a good Asian supermarket in Community 8. - LaraMart supermarket has opened a branch in Community 2 near the Police Station. LaraMart has a third branch in McCarthy Hills. Shopping lovers can now discover and enjoy one of the largest malls in West Africa: West Hills Mall in New Weija (Dunkonah, west of Accra). It houses Shoprite and Palace supermarkets. Tel. : 0244 335 705. Should you need a variety of items, besides food, for your new home in Accra, we advise visiting Palace on Spintex Road and Melcom Plus in North Industrial Area and Spintex Road. Visit Palace Hypermarket Facebook page. See a review of all shopping malls in the Accra area as of April 2018. Visit the 2018-launched online supermarket Homeshoppa. I'm not sure how old the information is on your accraexpat.com page but my wife and I have been in Ghana for two months studying the food of Ghana and we have visited hundreds of food outlets including the stores you mention on the site. We'd like to submit the following comments most humbly. You are to be commended for your kind attempt to help travelers to Accra. While you list the Max Mart, Shoprite, and Palace, I think your advice about the Melcom, Sagaar Impex, and Woolworth are over estimated. While Woolworth has a very small section of potato chips and cookies along with beverages, this is primarily a clothing store. The refrigerated coolers there, meant for food, were completely yesterday when we were there. The Sagaar Impex is a food store but we found it to be no more than a small convenience store with a limited selection of mostly Indian food. Melcom is primarily a furniture and electronics store with a small selection of food items. My wife thought their food was some of the higher priced items we've seen. Even the Palace carries a very small selection of produce which seems to be better found at either Shoprite, the Max Mart, on in the local street markets. We trust you will receive our comments in the most helpful way. Our concern is that new travelers to Ghana who only have a limited time in the city will find what they need in the most efficient way and time. I wanted to share my experience of shopping at YooMart on Cape Coast Road this weekend. It is on your right hand side leaving Accra about 25 km just after Kasoa town. The prices are brilliant, great for bulk buying! Fantastic promos, especially on yoghurts at the moment. My trolley which turned out to be... only 114 cedis worth!! Don't miss it when you travel to the coast. Milk, rice, fish, beers are much cheaper than Accra prices. 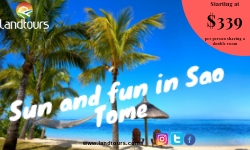 Editor's note: other expatriates have mentioned that they stop there on the way to the beach on week-ends (see the How To with nearby beaches (and other week-end outings). Shoprite being a South African chain stocks good meat products from their country. Fresh fruits abound in Accra, and you will see and hear hawkers selling bananas, pineapples, oranges, apples (imported from South Africa), papaws (papaya) and mangos as well as vegetables. They operate on stands set-up on the streets of the residential areas and next to supermarkets. One is in the Total gas station next to Golden Tulip Hotel. Street markets are found in most local areas and are a good source for fresh products as well as an interesting way to discover life in Accra. Good markets are found in Osu (a few blocks south of Lara Mart), in Nima (turn at Nima Junction on Ring Road and pass the roundabout), at Malam Atta market in Kokomlemle and in Tudu market (Saturdays around 9/10am) as part of the large Makola market downtown Accra. The best place is Agbogbloshie wholesale market, just south of Graphic Road. Late April 2017, 60 mangoes, 30 oranges, 40 bananas, 60 small bananas, 12 papayas, 7 pinapple, 7 avocados, 6 lemon and 1kg of carrots and tomatoes were bought for GHS130, including GHS5 for a porter. As with most things, some vendors may raise asking prices when dealing with expatriate buyers. Access is from Jamestown or Abossey Okai, turning left at the first traffic light south of Kaneshie Circle, the Ring Road, Graphic road, Cape Coast roads circle. Ask advice from Ghanaian friends and staff. We would advice to limit purchases in markets to fruits and vegetables. Note about hygiene: it's worth soaking your fruits & vegetables in an iodine or other solution. You can get iodine veggie wash from Koala for a few Cedis. Several farmers and companies are present at markets and/or do home delivery. - W.E.B. DuBois Centre in Cantonments next to the US Embassy hosts a market by SowGreen Farms on most Saturdays. Contact kobinahudson@gmail.com to get on the mailing list for details of when, where and what they'll have available each time. SowGreen also brings its morning harvest on Wednesdays 11 to 6 (you can pre-order at 0506 152 685) to the Tree of Life Health shop which offers food items and cosmetics, imported and local, as well as herboristery and aromatherapy. The shop is located in Dworzulu next to Phoenix Animal Care, across from Astros fotball picth. - Fresh2U delivers and used to be present at Kaya Restaurant in Cantonments on Saturdays. Contact Tom Rendell at tomrendell123@googlemail.com / tom@fresh2u.biz. - Fat & Flourishings Organics offers and delivers organic seedlings and produce in Accra and Tema on Saturdays. Organic seedlings: aloe vera, basil, oregano, burgundy okra and others. Organic lean greens: collard greens, mustard greens, baby spinach, rocket, dandelion, moringa, dill, basil, cilantro/coriander, mint and spearmint, parsley, lettuce, American red sweet potatoes, passion fruit. Contact 0270 556 772/3 and olorunsogo@hotmail.com. See the blog. - Native Juice & Whole Foods has in stock organic, gluten free and whole foods such as rice, pasta, cereals, snacks, flour etc. at affordable prices. Also delivers. Email info@nativejuice.org for a price list. - HMR Organic Fruits and Vegetables are harvested only when orders are placed. The farm is located at Okyereko, 10 minis before Winneba, in the Central Region of Ghana. Some of HMR produces are available at some of the major grocery stores in Accra (look for HMR packaged items at your fresh produce section) but individuals can also place orders on regular basis directly from us by contacting Hettie at hettiemr@gmail.com or texting 0262 967 016. The variety of fresh produce HMR currently has is wide (Carrots Cabbage Cucumber Spring Onions Spinach Habanero Pepper Chili Pepper Dandelion Aubergine Bell Pepper Arugula Salad Kale Mustard Greens Mesclun Sweet Salad Mesclun Classic Mix Salad Basil Parsley Mint Coriander Watermelon) and new produce is added from time to time. The Belgium Den Bogaerde Holiday Farm, 40km north of Accra, welcome visitors on Sundays and Wednesdays, with activities, lunch and much more. See the listing in the Weekly Calendar. Lovers of German sausage (and related meat products) may contact Maxwell at trademax.v@gmail.com. 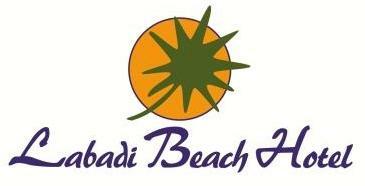 They produce in Tema and supply several hotels. Lovers of meat can use the well-recommended butcher Michel bases in North Industrial Area who does delivery for a charge - 0245 777 562.
and in plants you are eating ! See the individual pages of restaurants listed in the Dining Out section of our Directory. In Kumasi, you need to shop around as shops have different items and prices. The main supermarkets in Kumasi are Ababio Express at Asokwa and KNUST, Opoku Supermarket at Adum, Melcom at Ahodwo, the new Palace Shopping Mall and Speedway (for meat) near Santasi roundabout. Also A-Life Supermarket and Nadville Supermarket (many unexpected and needed foodstuffs and household cleaning supplies) next to Fidelity Bank. For fresh and reasonable veggies and fruits, Abinkyi market is very good. Chicken and fish is found at Felibat cold stores, goat/sheep meat at palace and bread at lebanese bakeries, Palace and Nadville. Four Village Inn makes Polish sausages, franks, ham and Canadian bacon from farm-raised animals and offers English breakfast. Call Frank at 0243 973 316. Someone reliable has used a butcher called Victor for more than 20 yrs who does home delivery. Tel: 0244 611 706. Max Mart opens in Kumasi. Off Melcom Road, south of Southern By-pass, next to UT Bank Obuasi brach. Opening hours are: 8:30 to 9 MON to SAT - 10 to 9 SUN. Tel. : 0245 503 055 - 0207 467 671. See this page. Shoprite and Game will open in 2017 in the upcoming 27,500sqm Kumasi City Mall on Lake Road (18,500sqm for the first phase - in comparison, Accra Mall is 20,600sqm). The Kumasi City Mall opens on April 20. Le Champion Supermarket is recommended. accraexpat.com Members are invited to recommend and review these retailers (as well as other shops and service providers) in the Retailer (and Service Providers) sections of the Directory. We welcome feedback about any of the above as well as recommendations. Please write to feedback@accraexpat.com. If shopping to furnish and equip your new home, see How To with furnishings and more. Opening times and phone numbers will be completed/updated to the best of our knowledge.